This tour is highly in demand as it is the start of spring in Israel. 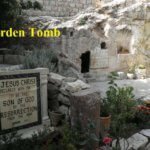 Special Christian group tour package to Israel the Holy Land in March 2020. Truly a spiritual tour to discover the cradle of Christianity as we “Walk Where Jesus Christ and His Disciples Walked”. 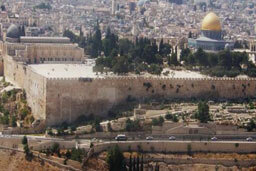 This Israel tour brings biblical stories to life and incorporates tour of modern Israel and prominent historical and biblical sites, offering a unique and unforgettable experience. This tour covers all the important places and milestones in Jesus life. All our group tours include Baptism in the Jordan River. Our guides have years experience in Christianity history and sites. Christian fellowship is an important element that makes this tour an experience of a lifetime. Truly the ultimate experience Christians tour to Israel the Holy Land from South Africa. Flight from ORT Int Airport, Johannesburg to Tel Aviv. Arrive early in Tel Aviv airport. We first stop for refreshment (coffee & pastry) and visit Caesarea, once a proud Roman port city dating back to the time of Pontius Pilate. View the monumental Roman amphitheater built during the days of Christ. Continue to Mount Carmel, overlooking the Izrael Valley and the Kishon. 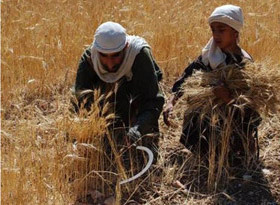 The Canaanites worshipped the Baal and his consort Ishtar who were adopted by the Israelites. Here prophet Elijah challenged the priests of Baal to prove whose god was more powerful and when he won, the Israelites abandoned the Canaanite deities and the false prophets were slaughtered in the Kishon River seen below(1 Kings 18). View of the magnificent Bahahi Gardens and learn about this religious. Megiddo (Armageddon), overlooking the fertile Izrael Valley. The bible tells about Joshua defeating the Canaanite king of Megiddo, a city which king Solomon built and the site where kings Ahaziah and Joshia killed here. For Christians, Armageddon is where forces of God will defeat the forces of Evil in the Final Battle at the End Day. We spend the day around the Sea of Galilee. Visit Tabgha, where Jesus’ miraculous feeding of the multitude took place. View the mosaic, representing fishes and a basket of loaves (Mk. 6:34, Luke 9:10). Short Walk tot Peter’s Primacy. Here Jesus met again with the disciples for the “last breakfast” and restored Peter to himself after the disciple’s three denials by asking him three times if Peter loved Jesus. Continue to Gennosar. OPTIONAL visit to view see an ancient boat from the times of Jesus found under the water. 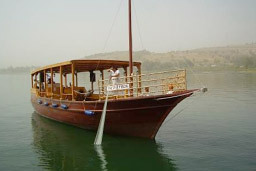 Enjoy a Boat Ride across the Sea of Galilee where Jesus calmed the stormy sea and walked upon these waters. Continue to Capernaum. The Gospel tells about Jesus leaving Nazareth to settle in Capernaum, which became “his own town” and became centre of his activities. From its community of fishermen he chose many of his disciples (Peter, Andrew, James, John and Matthew). 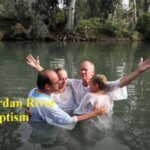 Optional Baptism in the Jordan River. Travel to Mt. Beatitudes. Near here Jesus gave the Beatitudes, he taught on many occasions and also performed many of the miracles. 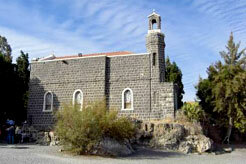 Drive through the Hula Valley to the sacred site of Caesarea Philippi at the base of Mt. 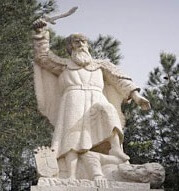 Hermon and the sources of the Jordan River. Here Simon acknowledged Jesus as the Messiah, to which Jesus replied: “You are Peter (small stone) and on this rock (Petra) I will build my church, and the powers of death shall not prevail against it. Visit Kibbutz for a tour to learn about this unique way of life and the settlements in modern Israel. Visit a unique shop of local Israeli products Tamar Bakfar. 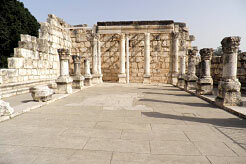 Visit Bet Shean where the bodies of Saul and his sons where displayed against the city walls. Walk through the excavations revealing a remarkable Roman city and the Roman Cardo main street connected the upper city with the forum, marketplace, Roman bathhouse, and theatre. 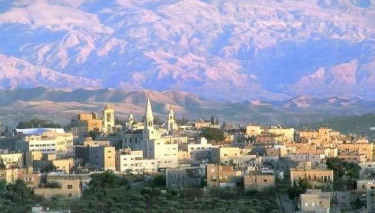 Travel along the Jordan River past Jericho and view Mount of Temptation. 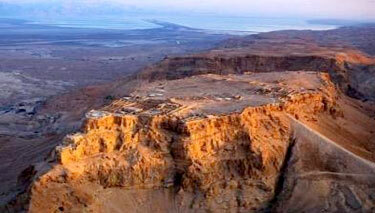 Drive past Qumran caves where the Dead Sea scrolls where found. We then enter Ein Gedi National Park where David and his soldiers hid from king Saul. Ascend Masada by cable car. Our guide will take us on a fascinating tour of this mountain where 960 Jewish defenders organized the last resistance to the Roman conquerors. 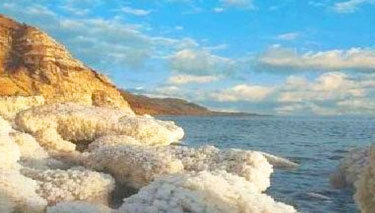 Enjoy a float in the salty waters of the Dead Sea. Ascend Judeah mountains and enter Jerusalem, the “Eternal City” of GOD. Drive up Mount Of Olives. Here overlooking the Temple, Jesus taught his disciples and prophesied the destruction of Jerusalem. From here the entire city of Jerusalem unfolds before us. 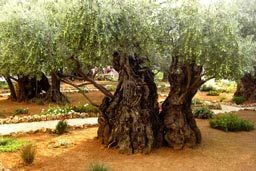 Walk to Dominus Flevit and continue along Palm Sunday road to the Garden of Gethsemane, where Jesus was taken captive. Continue to Pools of Bethesda, located north of the temple mount. The pools were probably designed at times Herod the Great for the Jewish inhabitants to purify themselves and here Jesus performed the miracle of healing an infirm man. We next visit Lithostrotos. Take a short walk along Via Dolorosa. One of our past participant described it: “Visiting the Western Wall at the start of Shabbat was an amazing highlight…. Probably my most favorite of the whole trip. It is now a treasured memory and I would never leave that out of a tour”. 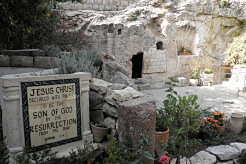 Visit Garden Tomb where we will hold a Communion Service. Enter the Old City. Visit the Western Wall. Next visit is to St Peter Gallicantu where the house of Caiaphas was where Peter denied Jesus. Visit David City & Hezakiah (Siloam) Tunnel dug underneath the Ophel, leading from the Gihon Spring to the Pool of Siloam and was designed as an aqueduct to provide Jerusalem with water during an impending siege by the Assyrians. According to an inscription, two teams excavated the tunnel, one starting at each end of the tunnel and then meeting in the middle. Drive to Hasse Promenade for a bird’s view of Jerusalem and City of David. Continue to Ramat Rachel to view the Shepherds’ Fields in Bethlehem.